The PINE FOREST wall plates are a series of hand painted landscape paintings. 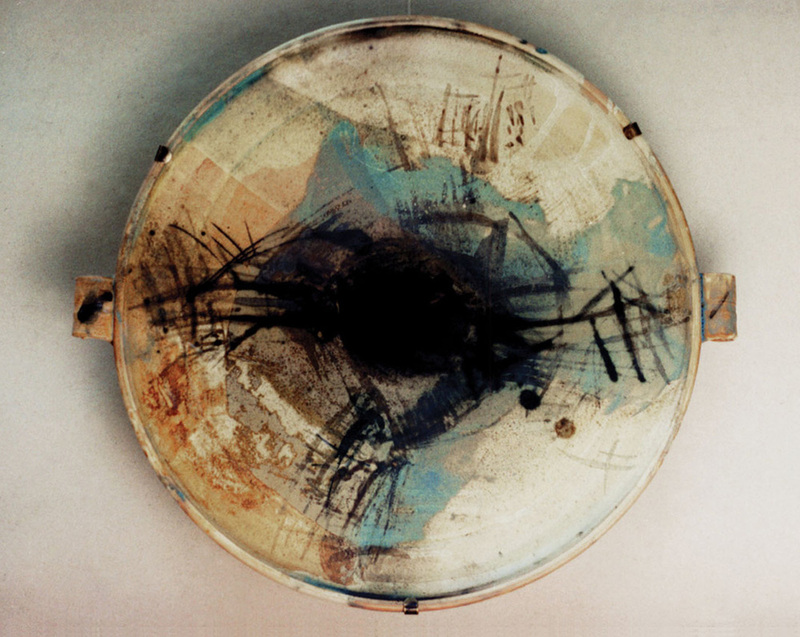 The paintings were created on clay disk “canvases” with custom mixed colours. The durable, weather-proof decorative plates/paintings currently adorn the walls of a seaside villa in Greece. Some pieces of the series are also in use as fruit plates. Their frost-resistant quality makes them suited to ornament exterior façades. 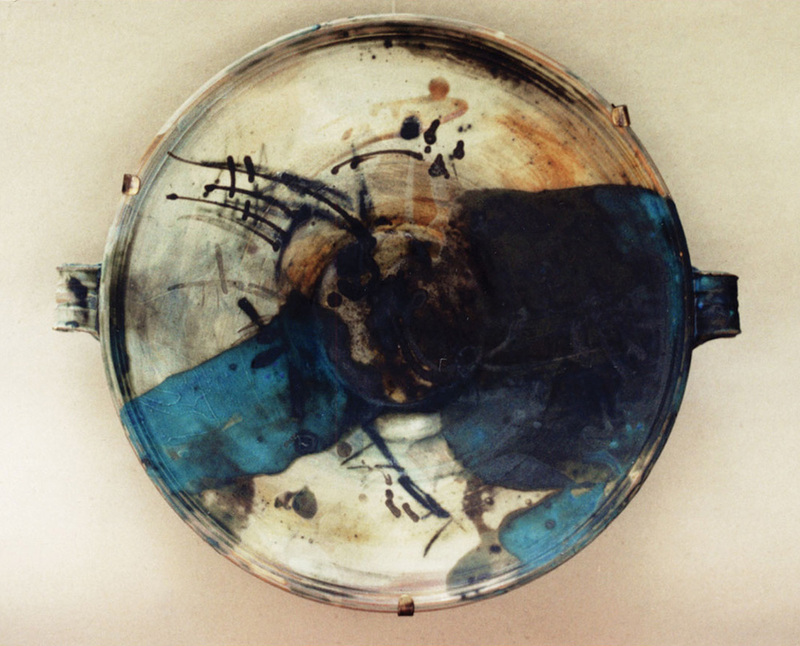 Painted plates as sculptural ceramic pictures had their golden age during the renaissance. Important events were memorialized with gifts of such ornamental plates, such as weddings and births. Their most common themes were portraits, landscapes, and genre paintings. The late renaissance saw the appearance of realistically depicted, painted, sculptural illusion of forms such as ocean life, snakes, and flowers. The hand painted decoration creates an illusion of three-dimensional space. A characteristic experience of the forest is that of the embrace of trees as we gaze up to their heights. This 360 degree panorama of the forest suggests that the observer’s point of view is the centre of the bowl, from inside to out. 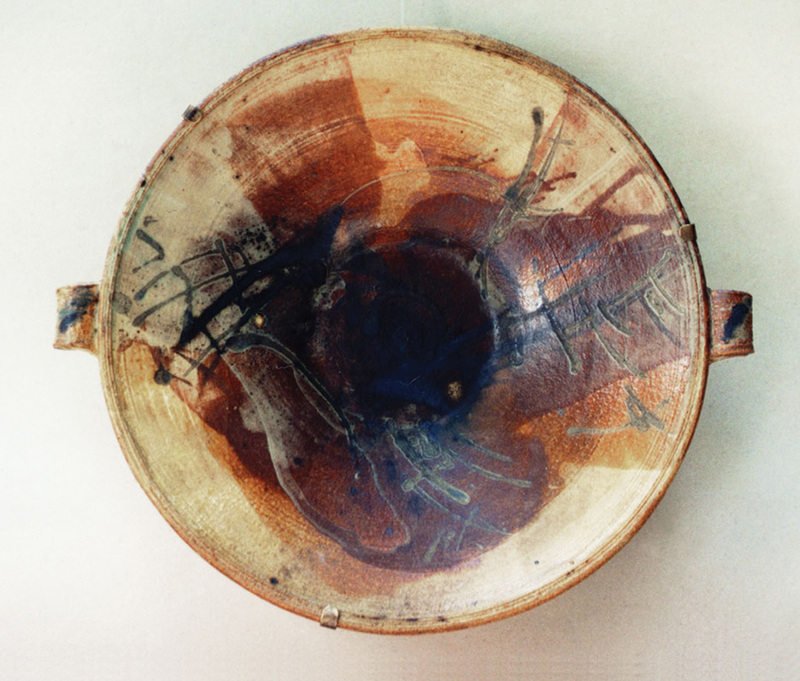 Landscape paintings on thrown bases, with custom blended colours using brushes and íróka (traditional pottery and egg decorating tool with a sharp point).